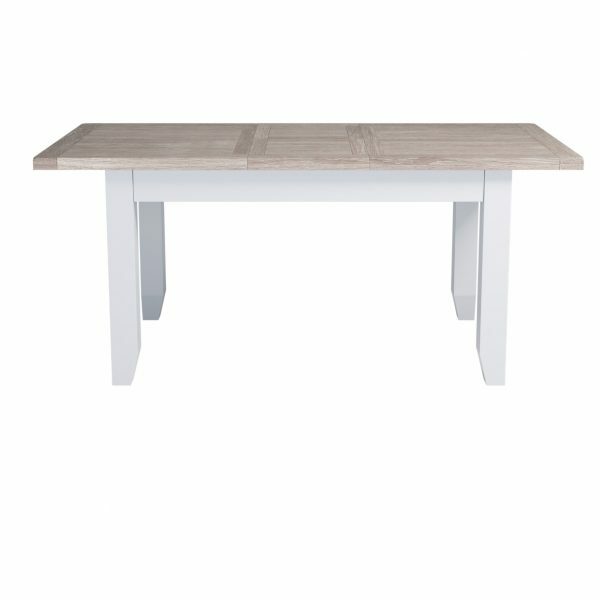 The Chalked Oak Medium Extending Dining Table has a smooth, chalked oak top and off-white painted legs. The table easily extends, allowing more room around the table for guests. The stylish look, modern feel and smooth oak would be a credit to any home.